← Summer……….Bats, Fireflies and Swimming in the Dark! 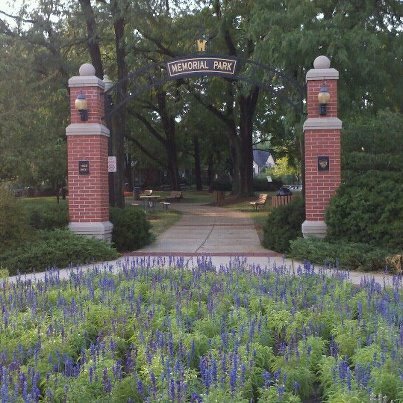 The idea for this evening began with an announcement on Facebook that Eric Noden and Joe Filisko would be playing in Memorial Park in Wheaton, Illinois. They were playing with Small Potatos and Zacbé Pichardo, a Mexican Harpist among other things. I had seen Small Potatos play before in Galena, Illinois at a fabulous little (apparently out of business) Bed and Breakfast called the Artful Lodger. My husband Robert and I made the trek up to Galena with Joe Filisko and his then Fiance’ NOW Wife Michelle. Joe and Eric are a fabulous Roots Music Duo! Joe is a world renowned harmonica player and there isn’t anyone I would rather listen to sing and play guitar than Eric Noden. Joe is the foremost authority on the diatonic harmonica . The Hohner Harmonic Company in Germany came to Joe Filisko to help them develop the Thunderbird Harmonica. 1. In a nut shell, Chiquita thinks you’re awesome! 2. That’s really all there is to it. So they want to send you some cool stuff. 3. All you need to do is provide your shipping information, then sit back, relax and await your goodies. If you have any questions, feel free to contact me at ………………Congratulations and we look forward to hearing from you. 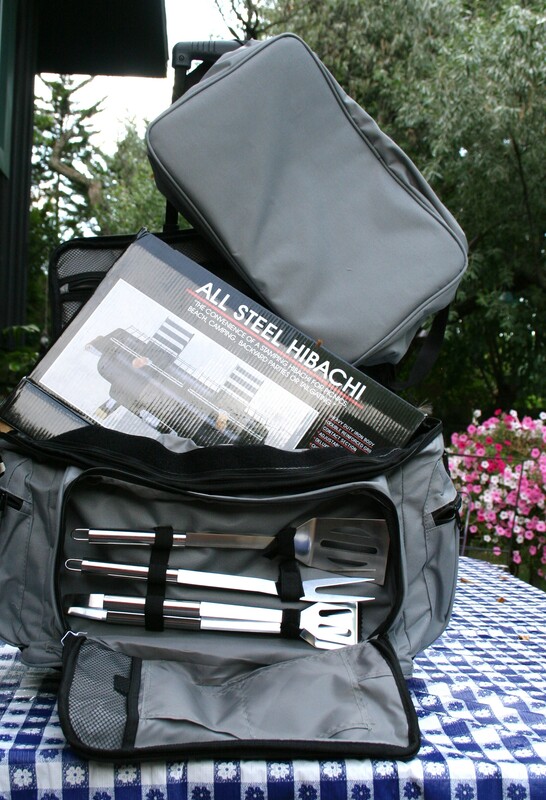 A rolling soft sided cooler, warm/cold insert separate carrier, a hibachi grill, utinsils and their fabulous new snack ! There were two bags of these in the package and they didn’t last 10 minutes! They were great. What Chiquita did not know is that I am part of the Partnership for Healthy Families here in Will County, Illinois and we are working to eliminate junk food from schools, work places and hospitals etc. We are trying to find healthy snacks. IF YOU know of any please email me. I was on the phone with Chiquita in minutes trying to find out where I can buy them wholsale. I want to sell these! I have 15,000 kids come to Pilcher Park Nature Center each year and they are always hungry ! So to bring this story to a close THIS YEAR……….. I raced home from work and made some french bread, took some home made pesto from the fridge, chopped some tomatos, cheese and basil and made some caprese salad ala Pioneer Woman except mine was cubed and threw them all in the new cooler. I took the utinsils out and put the plates and silverware in there. I poured wine in some containers that made it look like we were drinking water or something, put tequila in another for my husband. Michelle and Joe came at 5:00 and we were on our way! When we got there it had just rained and smelled like summer should smell without a drought! We dropped Joe off to confir with Eric about the night’s show and my husband had passed Bende, one of our favorite deli’s on the planet. His Mother used to send us Bende for Christmas or we would send it to her. Now we always stop in her memory and to get some of the best pork loin EVER! Michelle and I went to an ADORABLE wine store called Tasting Devine. So cute. Great wines. She purchased three bottles and we were all set. We headed back for the concert. What a night. Great weather, great friends, GREAT food, GREAT wine, Fireflies, great music and stars. Perfect evening. After the show I rolled my little new Chiquita cooler to my Expedition and we started talking to the Small Potatoes folks. And they were going to Wendy’s………….. OH NO THEY were not! Not with french bread, home made pesto, caprese salad and the best pork loin and swiss cheese on the planet. So we sent them off to play with Tom Paxton the next two nights on a full stomach. Thank YOU Chiquita! 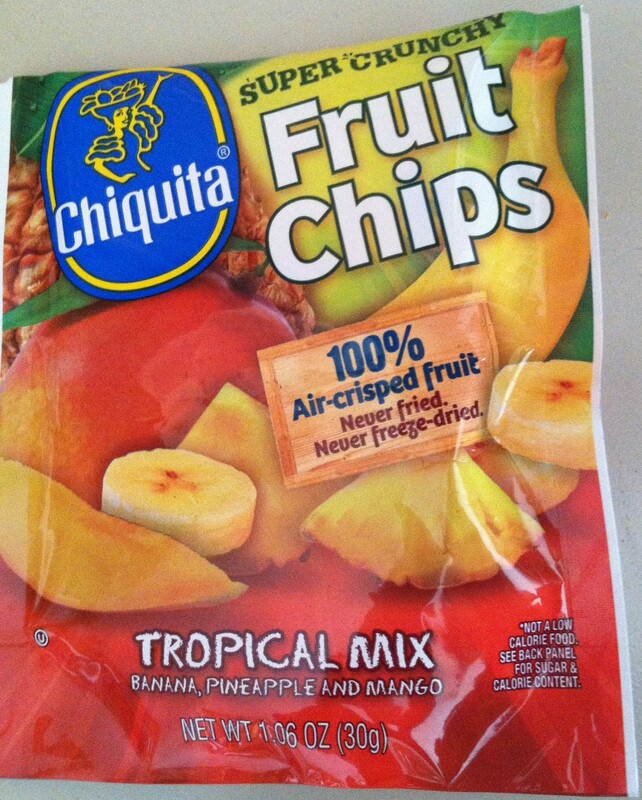 You can find them on Twitter at #chiquitasnacks @chiquita and on www.facebook.comchiquitasnacking Great job on your new Chiquita Bites and Fruit Chips! This entry was posted in Childhood, Nature Play, Play in Nature, play outdoors, Uncategorized and tagged chiquita, concerts, diatonic harmonica, dinner outside, eric noden, eric noden and joe filisko, folk music, harmonica, healthy snacks, hohner, hohner harmonica, joe filisko, Lynfred Winery, outdoors, outside, picnic food, Pilcher Park Nature Center, tasting devine, tom paxton, wheaton illinois, wine, wine tasting. Bookmark the permalink.